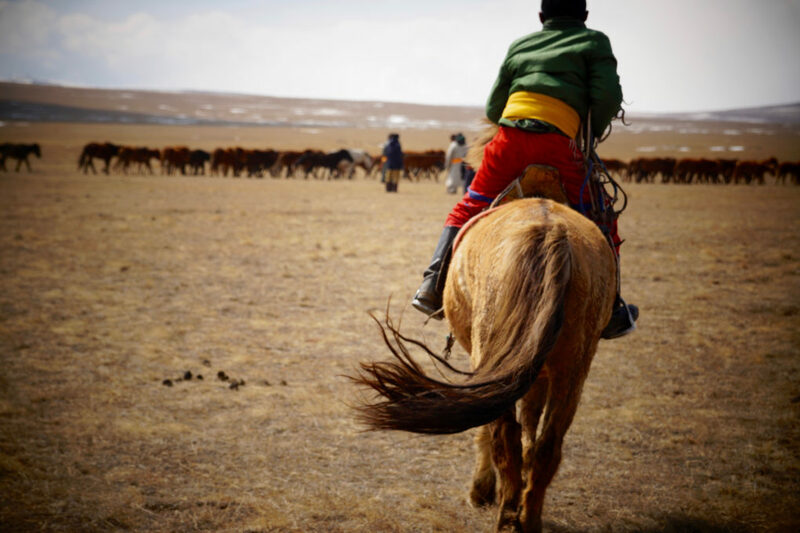 One week to learn the most about Mongolia’s horse culture! 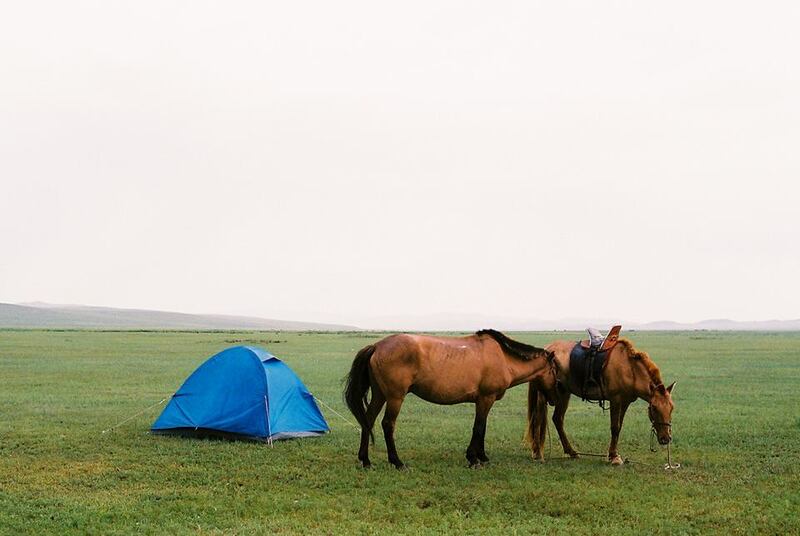 You only have one week to spend surrounded by horses and learn the most about Mongolia? Our discovery week is the best option to get the most of your trip in a nice and comfortable environment. Don’t wait and come to spend 7 days with us at Stepperiders ger camp! 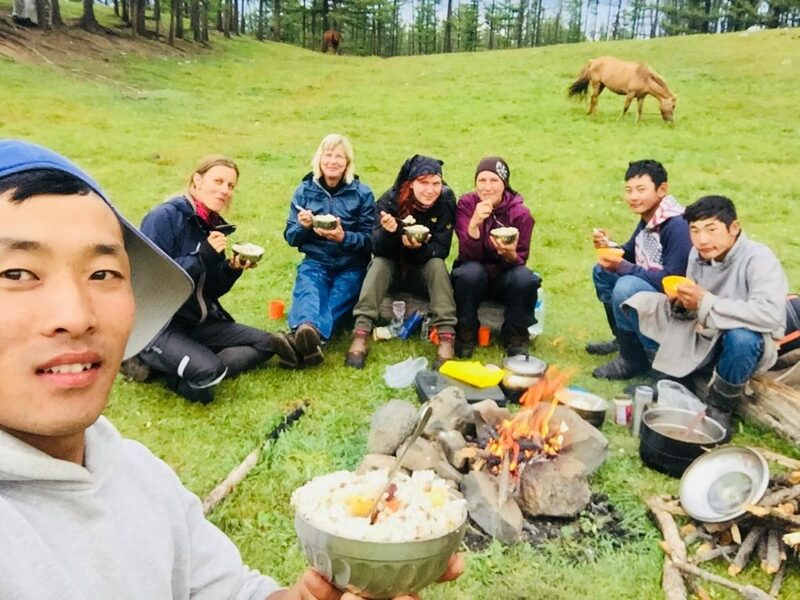 Sleeping every night in a warm and comfortable ger and fed by our wonderful cook, this trek is ideal for families and people who would like to experiment different activities in a limited time. It is also perfect for people who are not ready to give up on the comfort of a bed and a regular shower. 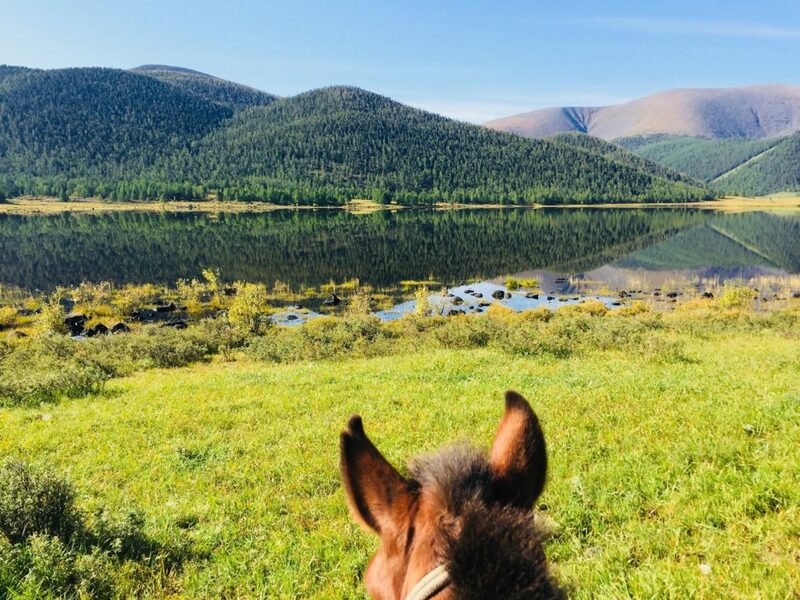 This trek comprises plenty of horse riding and will allow you to discover Mongolia’s horse culture spending a whole day with a nomadic family, taking horseman lessons and archery. 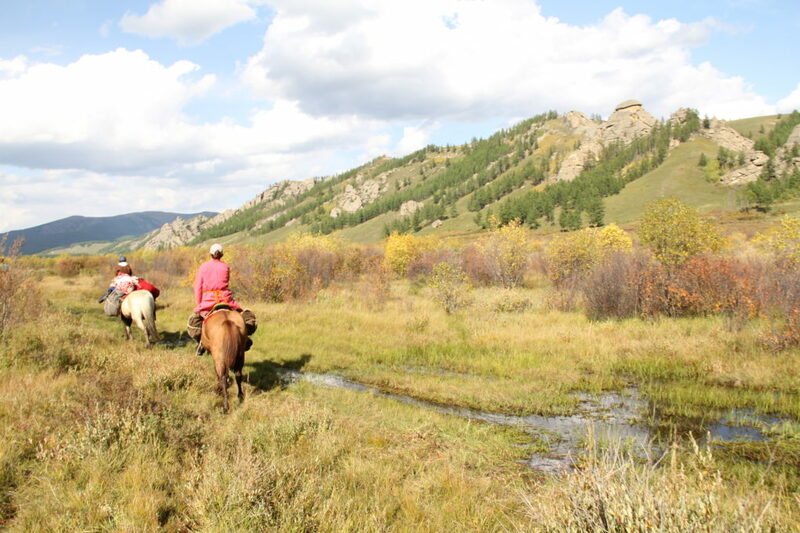 You will also go on an excursion to Hustai National Park where you will see the famous Mongolian Wild Horses also know as Przewalski horses. And you will also stop for a hike in Terelj National park to see the Turtle Rock, which hid monks during the repression, and the Meditation Temple with its beautiful panorama. Join us at Stepperiders for a fun discovery week. Suitable for all horse riding levels. Join us for an adventure horse trek to Gunjiin soum. This remote village is far difficult to access with a vehicle and we will be traveling in total autonomy on horseback with pack-horses to carry the equipment. 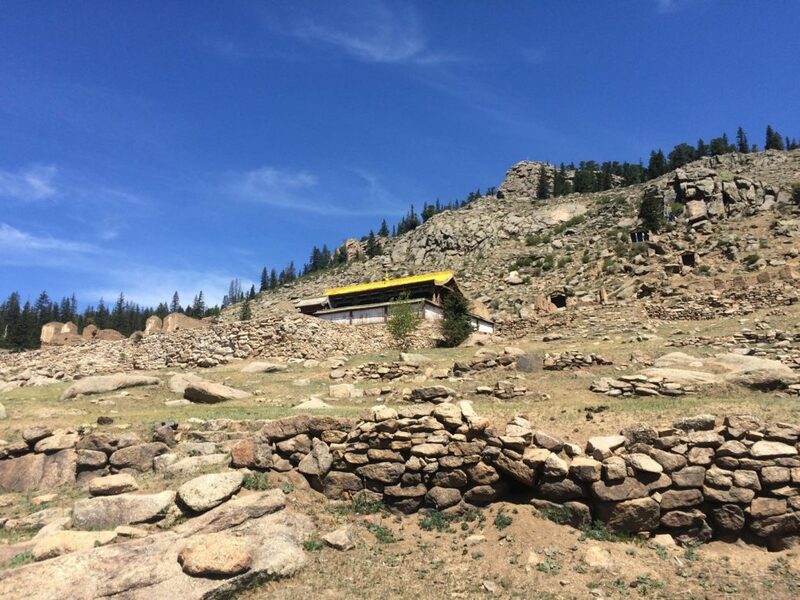 Gunjiin soum hosts the Princess Temple which is dedicated to a Mongolian nobleman, Dondovdorj, Chinese wife. She is know as the Peaceful Princess who loved her adopted country and people. Your trek will start at the end of the paved road in Terelj National park crossing a large river and continue throughout beautiful landscape made of rivers, forests, steppe valleys and mountains with rich flora. The further you will ride, the fewer nomadic families you will meet. 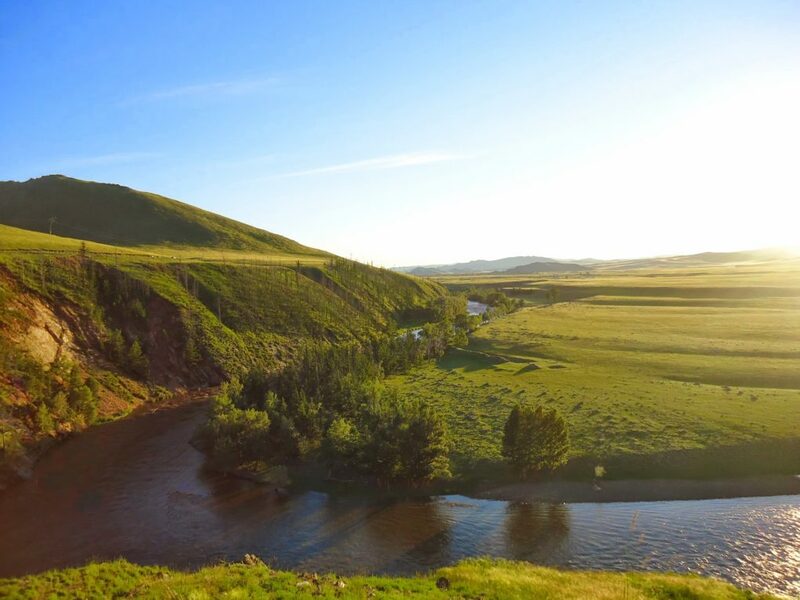 This will be a wonderful immersion in Mongolia’s quiet nature. However don’t be surprise if you hear wolves during the night! The road can be difficult depending on the weather conditions, as it can transform into large swamp areas after rainfalls. We therefore recommend it to people who are used to challenging treks and conditions and comfortable on and around horses. 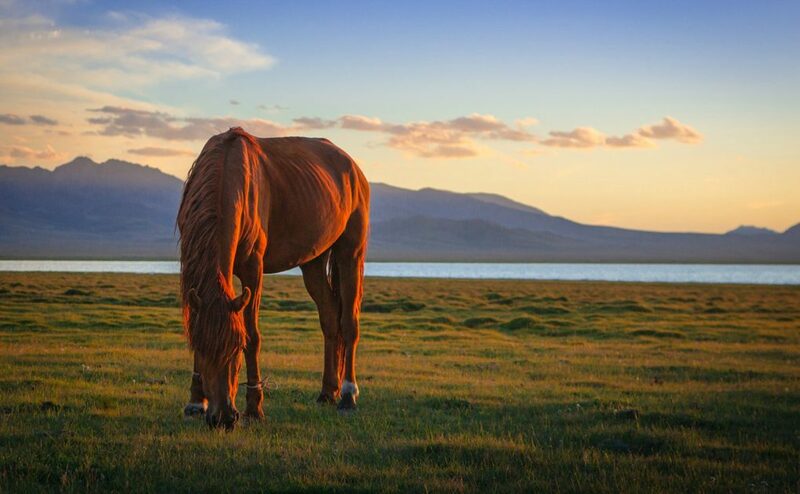 This wonderful horse trek will take you deep into the beautiful Western Mongolia, home of the Kazakhs, Tubans and famous Eagle hunters. This makes it one of the regions with the most cultural diversity. The Altai Mountains marks the border with the Chinese, Russian and also Kazakh territories. Its landscape is also very different from the rest of the country, especially being at such a high altitude. Accompanied by your amazing horses you will see the highest mountains of the country, glaciers, glacier lakes, rivers, steppe and a variety of landscapes that will make your trip unforgettable. Be aware this beautiful place comes to a price, the temperatures stay chilly even in summer. As you will be travelling out of the beaten tracks, at some point during your trek, you will have to rely on camels to carry your equipment. 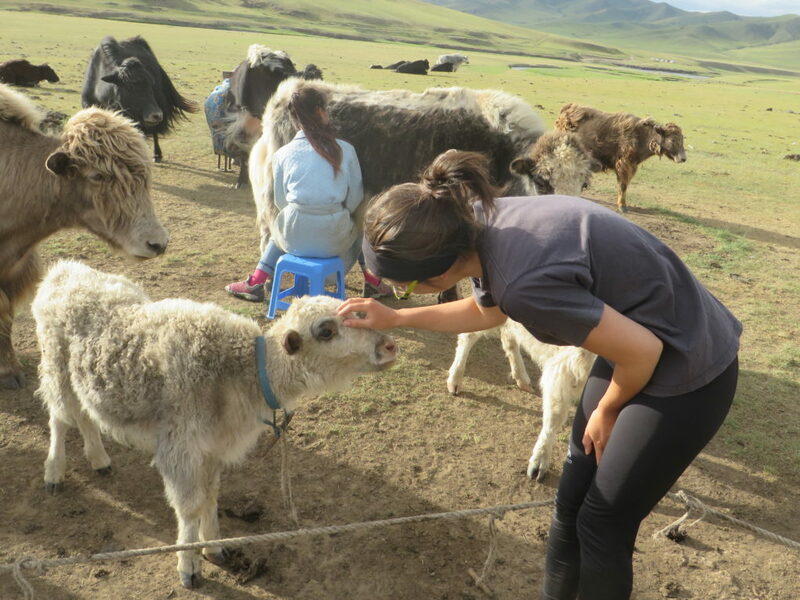 This will allow you to meet another of Mongolia’s 5 livestock “Mal” animals. Camels have two bumps on their back and are only herded in Central Asia. This will therefore be a good opportunity to meet this strong and interesting animal. You will also stop to meet locals from different ethnies. The Eagle hunters will introduce you to their hunting partners, while Tubans will introduce you to their shamanic beliefs. This trip will therefore also be an opportunity to learn and exchange with different cultures. 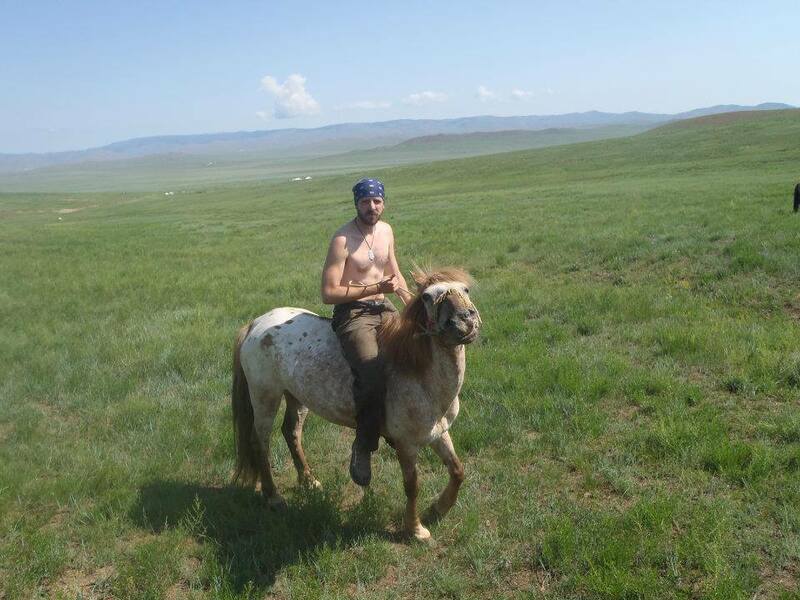 This adventure will offer you the opportunity to experience horseman’s life for the time of a trek. Indeed you will join horsemen to help them herding Stepperiders horses. There are over 200 horses that have to be herd from Stepperiders’ camp to winter camp. This journey will take them one month, but you will join them for 5 days. 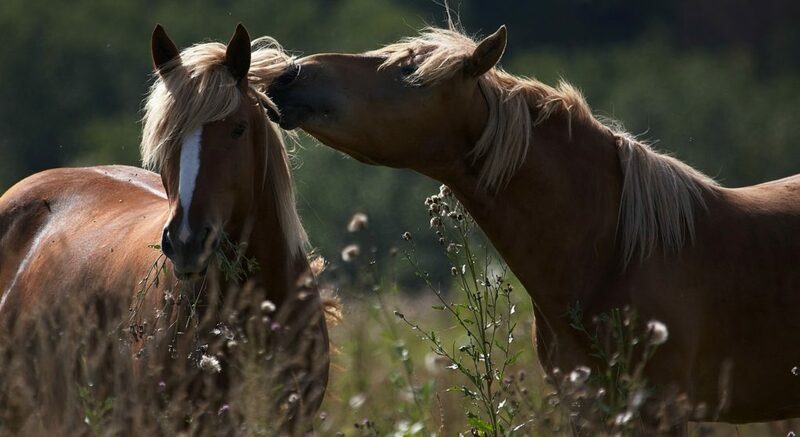 Horse herding has been done for centuries and is necessary to provide enough grass to the horses to survive the tough winter. The summer camp hills have been grazed and it is time for this area to rest and re-grow until next summer. The winter camp will ensure good conditions to the horses who will experience temperatures going below -40C. If you like adventure and horses and are not afraid from the cold, this trek is perfect for you! It will be a total immersion in a life far from the ordinary! You will end with the visit of Terelj National park, celebrating the end of your trek in a warm ger with the other participants. The weather can be tough in October, this is why you will be followed by a support vehicle, to allow you to rest and warm up when it becomes too difficult. This tour will take you to the Mongolian Gobi desert known as second largest desert in the World. Home of the historical remains of Genghis Khan and ancient nomad’s culture – UNESCO world heritage sites. 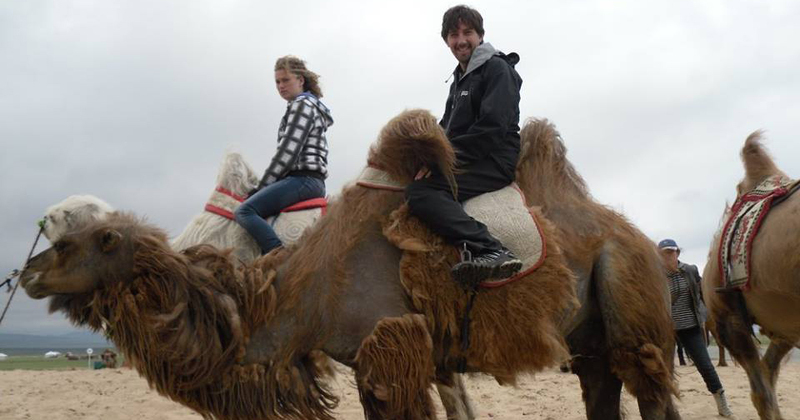 First you will travel to vast Gobi desert to visit Khongoryn Els sand dunes – climbing and camel riding, Flaming Cliffs – cradle of dinosaurs, Vulture Valley – admire wildlife, and nature formations. Than we are heading to central Mongolia, visiting at Kara Korum – Ancient capital, first Mongolian Buddhist monastery – Erdene Zuu and enjoy watching wildlife and landscape. We will drive on nature road and our driving distance would be about 250km for per day. On the way, we will visit at nomadic families and get introduction of their unique lifestyle. Every day, we set up our tents nearby beautiful camping spots based on our scheduled distances and sleep under starry nights. If you have a short time in Mongolia we are offering you to meet two Mongolian symbols: Genghis Khan on his horse and the Takhi Wild Horses. Head first to the famous Hustai National Park who has re-introduced in the wild the Takhi. The Takhi is the last species of wild horses in the world. This park is also home to more wildlife such as the red deer, grey wolves and more. Enjoy a hike in the park to see how many animals you are able to spot. Next day we will drive you to the Terelj National Park. This beautiful area contains many rock formations such as the famous Turtle Rock. Enjoy the beautiful scenery and visit a meditation temple. Then meet with the famous Genghis Khan! 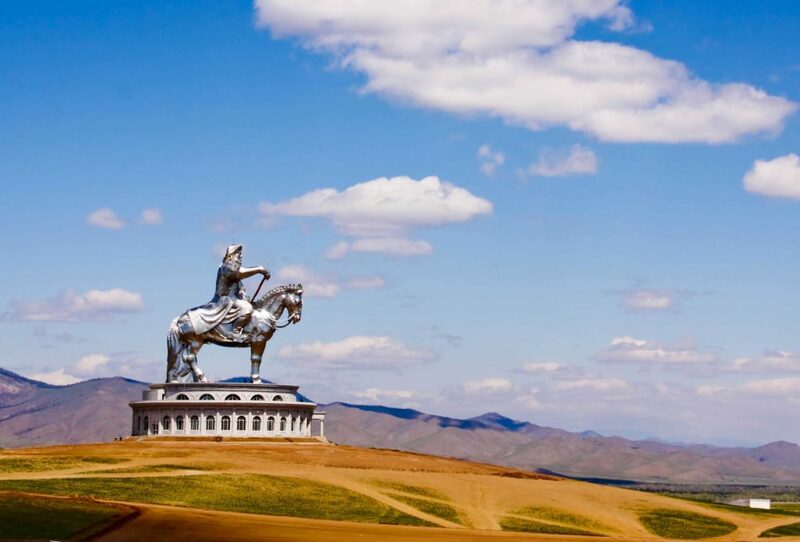 The park hosts a 40m tall statue of this Mongolian legend on horseback. The statue is located where Genghis Khan found his golden whip and it is facing his birthplace. Enter the statue to visit its inside museum and have a walk on its horse head to enjoy the view. 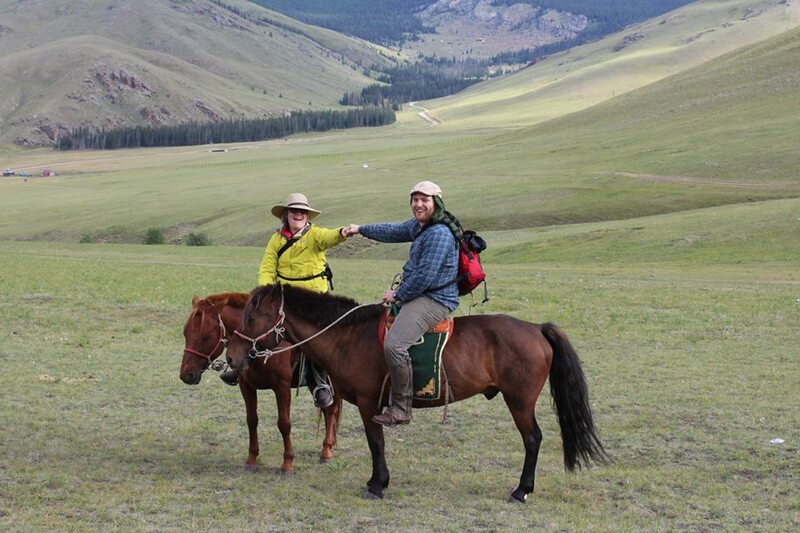 This horse trek will take you to the most pristine nature and glacier lakes. 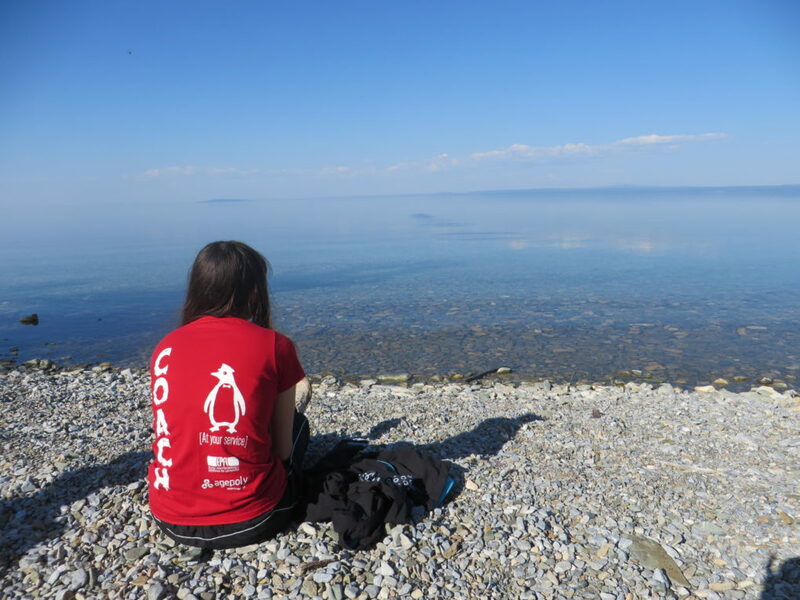 Located in the northern part of Mongolia, Lake Huvsgul marks the boarder between two worlds: the steppe and the taiga. Another particularity of this region is that very special people live there. Indeed, it is the home of the reindeer herders, also called Tsaatan, from the Darkhad ethnic group. Those people live of reindeer herding and they can even ride them like horses. Plus, contrarily to other Mongolian nomads who live in gers, the Tsaatan live in tipis. The Huvsgul Nuur national park is one of Mongolia’s top scenic attractions consisting of high mountains, known as Khordil saridag, thick pine forests, lush meadows, and of course the beautiful lake Huvsgul.You will ride in hidden trails in the mountains and across the valleys of the national parks. During summer you will have the chance to see many colorful flowers along the way. 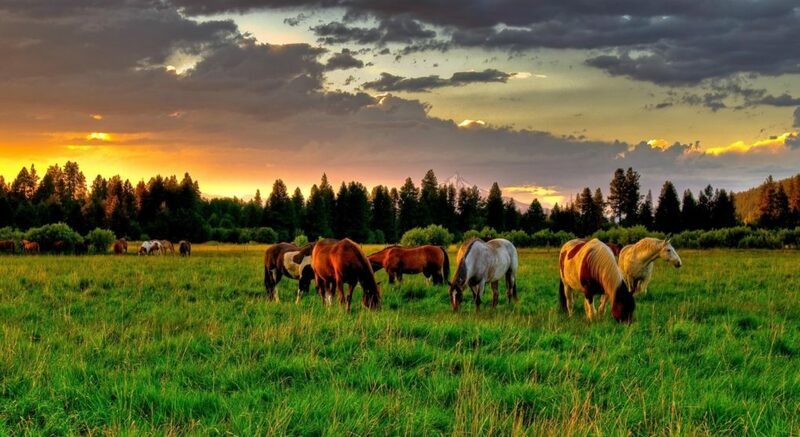 And you will often come across grazing yacks and horses. You will reach this beautiful national park by car and start you horse adventure there. 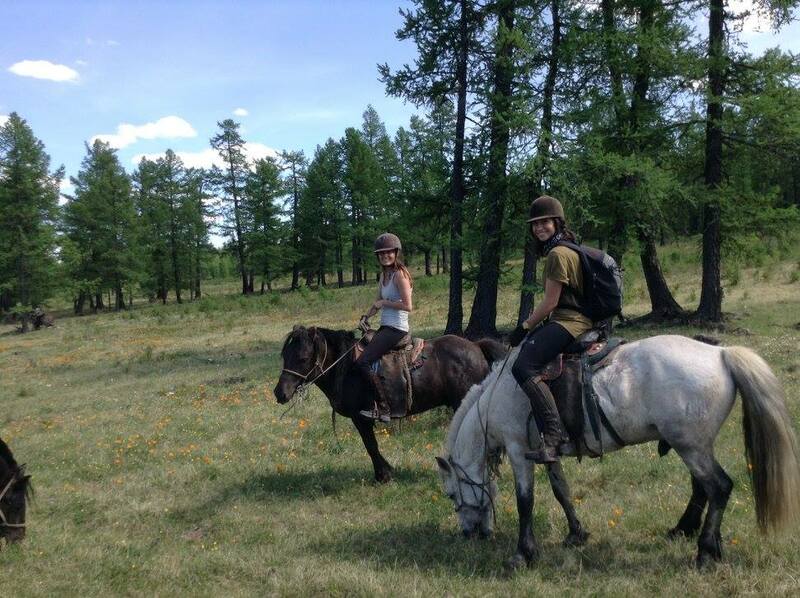 6 days of horse riding are awaiting you, covering about 25 to 30km of trail each day. 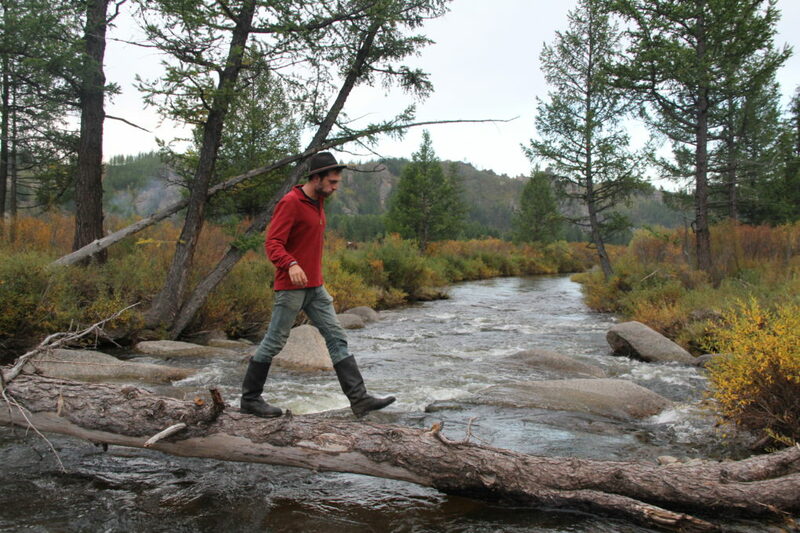 Some of the route might be difficult with muddy meadows and streams to cross on horseback. But this is worth the stunning landscape and total immersion in nature you will experience. And don’t worry it is only a small part of the trek. This trek is supported by camping equipment and a cook. Each night will be spent in a different beautiful and peaceful camping spot. 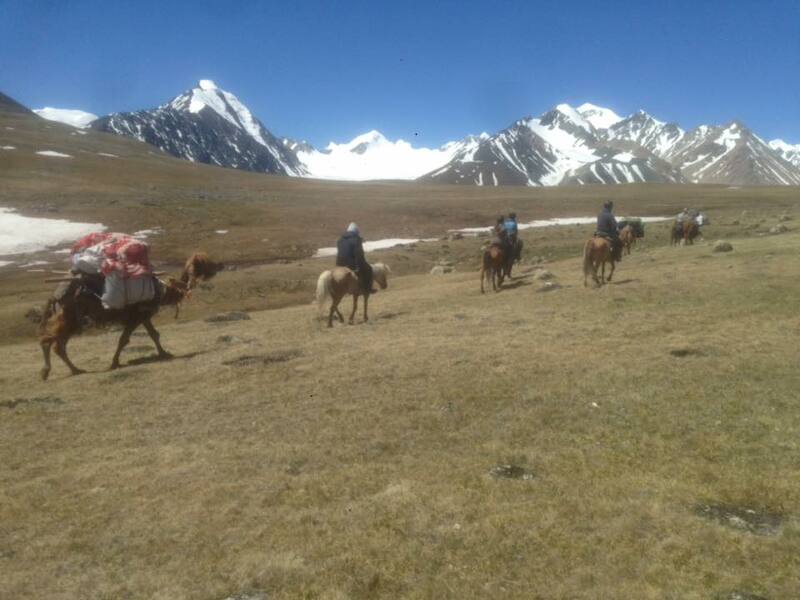 Possibility to fly from Ulaanbaatar to Murun to save time and/or extend the horse trek. 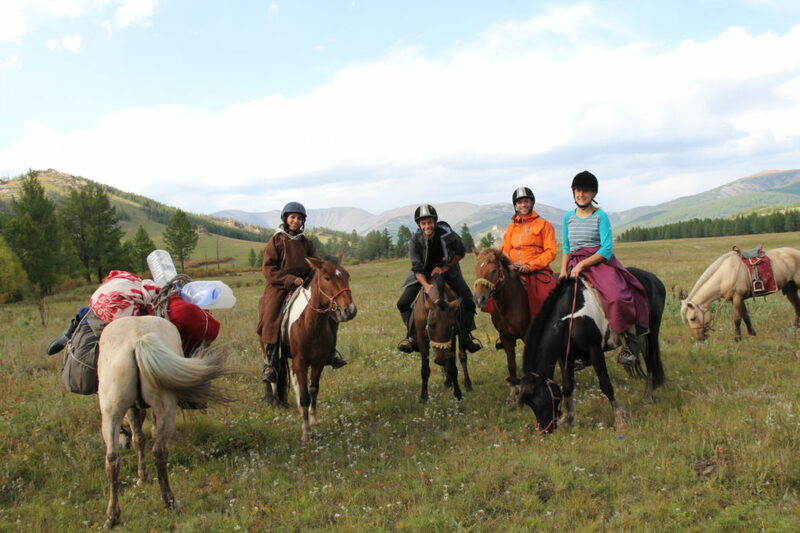 Ride to the famous Bogd Khan Uul National park which is the first national park of the world. Protected since 1783 it is home to over 220 types of plants and many animals including grey wolves, marmots and squirrels. It is a rich and enchanting landscape with remains of Mongolia’s Buddhist culture. The Manzushir Monastery is the highlight of this trek. Destroyed during the communist era it has been partly rebuilt after Mongolia’s independence in the early 90s. This important cultural site will show you the extent of Buddhism in Mongolia before repression. Walk through its ruins, visit its museum and learn about its past history. 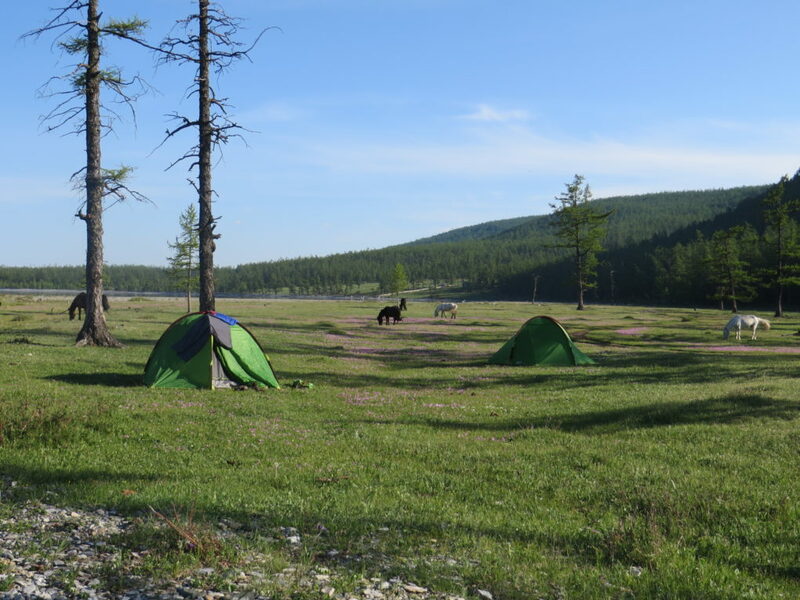 After the visit of the Bogd Khan Uul National park we will take you in the steppe. 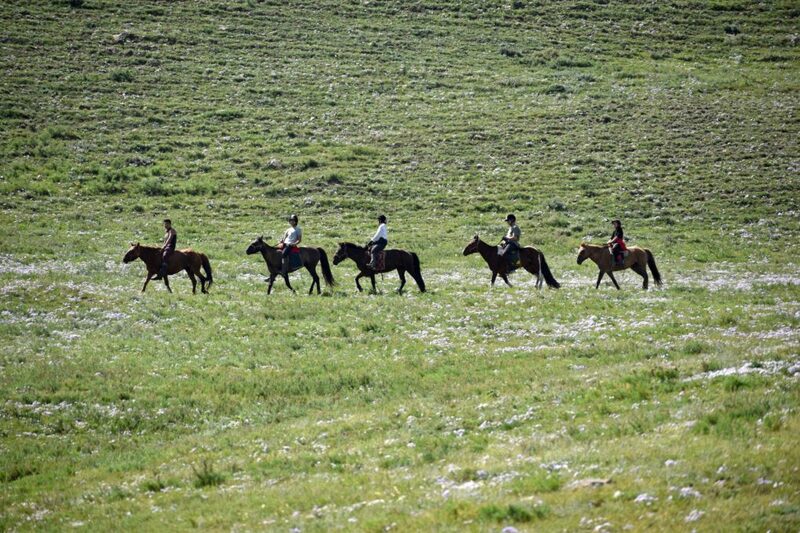 Riding your wonderful horse you’ll observe livestock grazing peacefully in Mongolia’s infinite nature. At the end of the day, your guide will introduce you to a nomadic family. And why not sharing a glass of milk tea or airag (fermented mare’s milk)? You will have the opportunity to ask questions and observe this nomadic culture preserved for centuries. 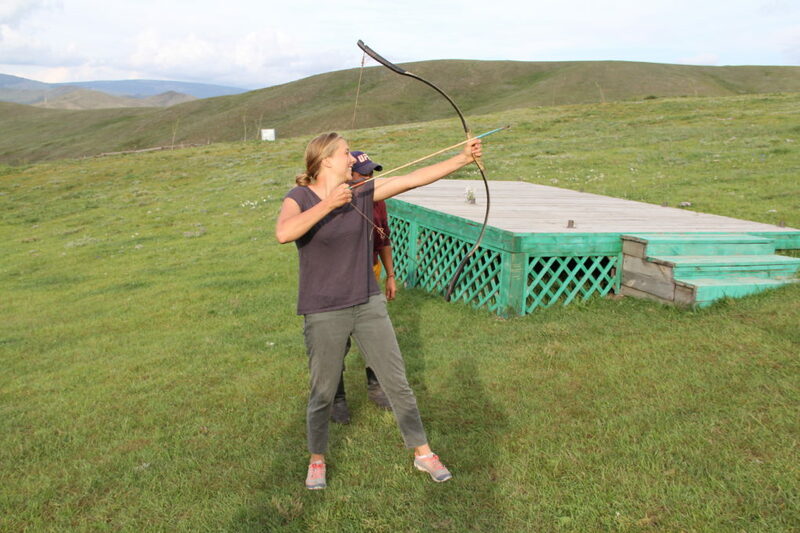 Both nights will be spent under a sky full of stars sharing stories with your guide around a nice Mongolian style meal. Your trek will end at Stepperiders sharing your adventures with other guests on our terrace. Enjoy a last cup of tea while watching the horsemen herding our horses.